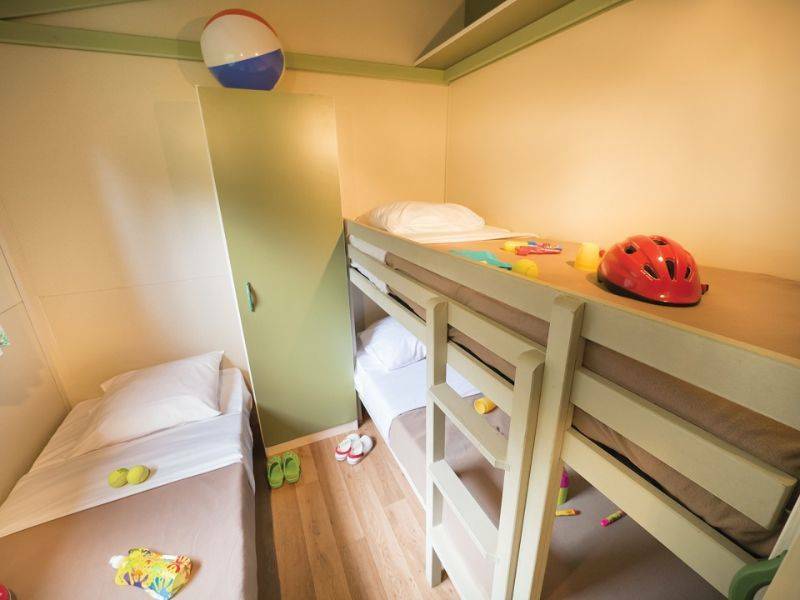 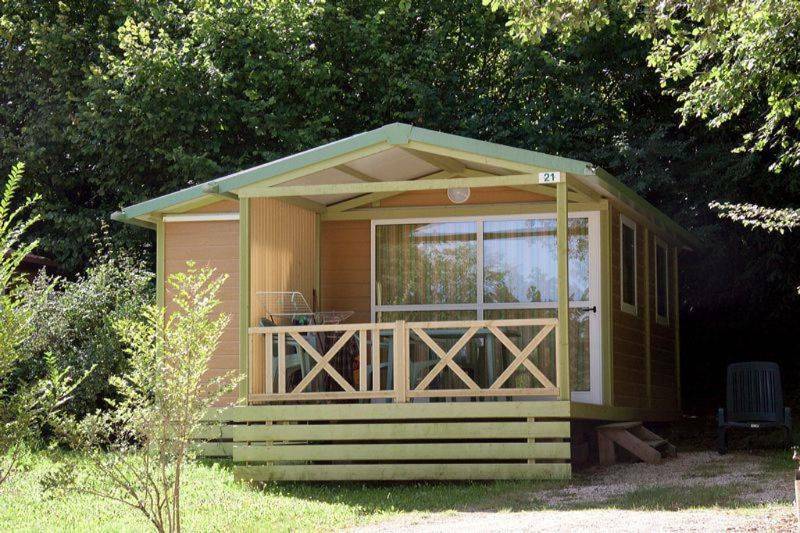 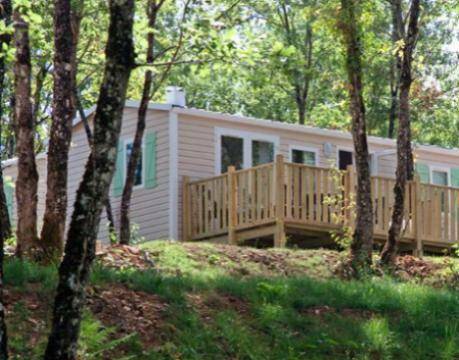 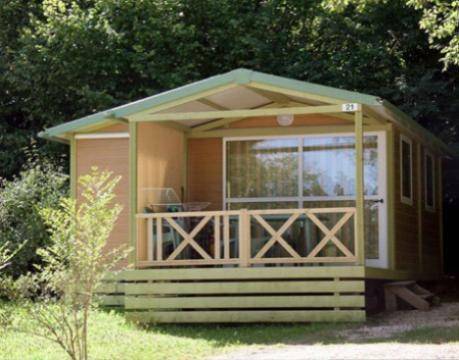 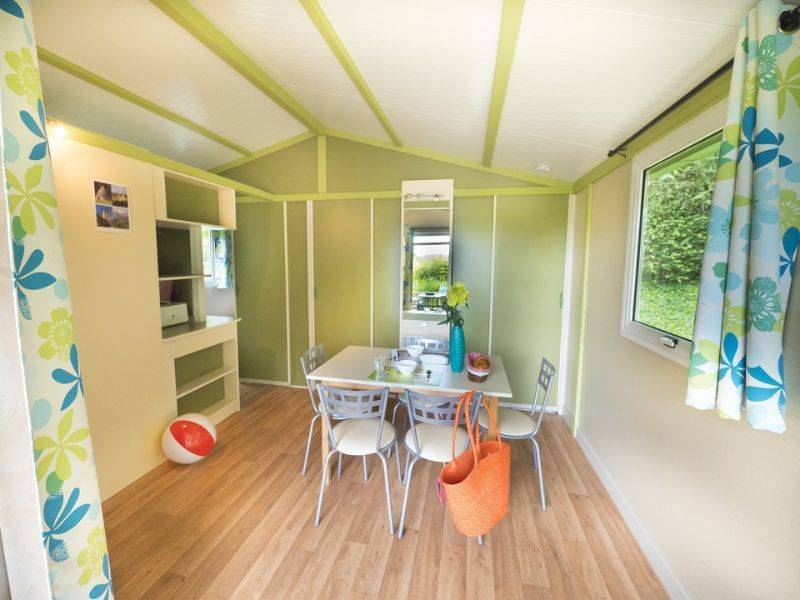 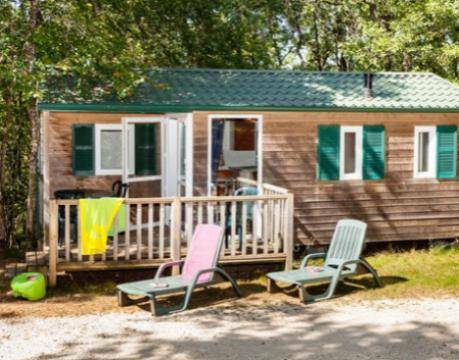 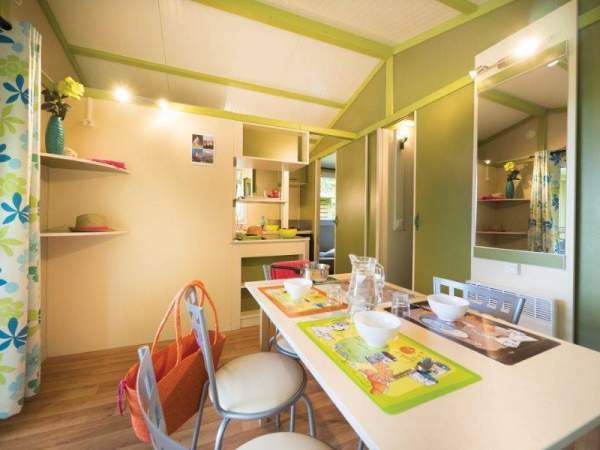 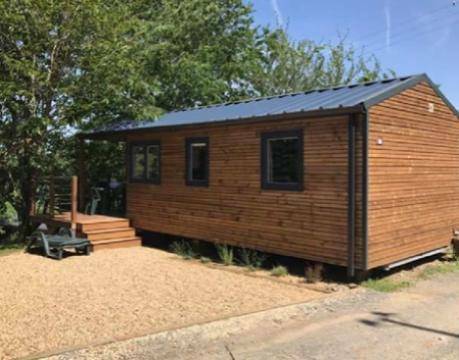 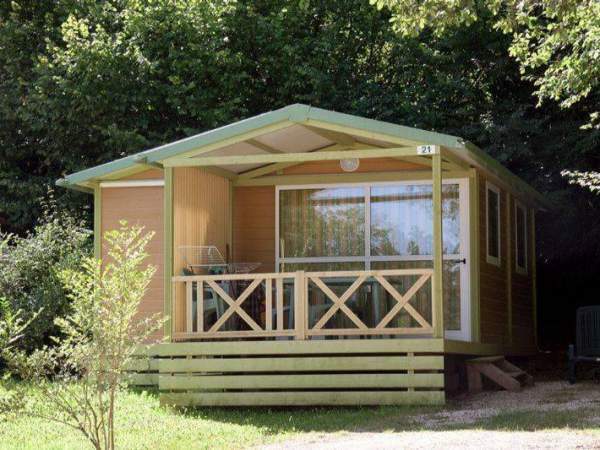 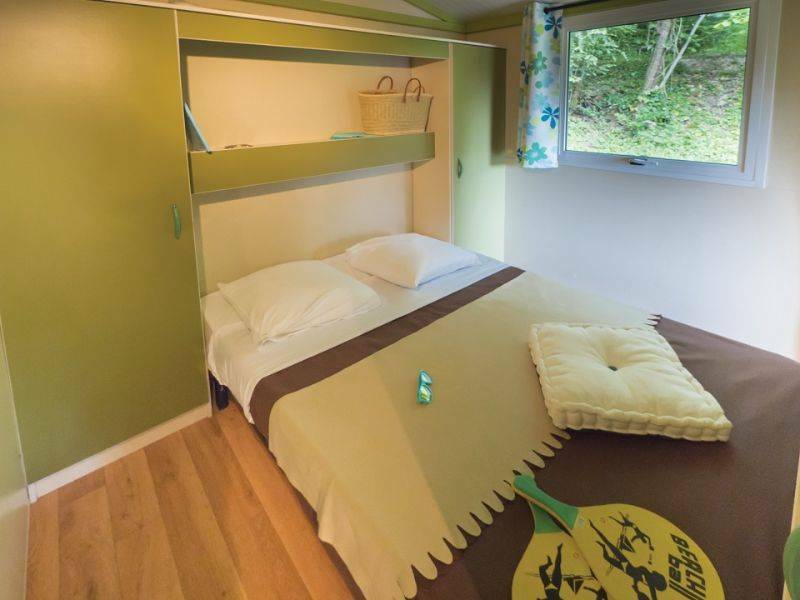 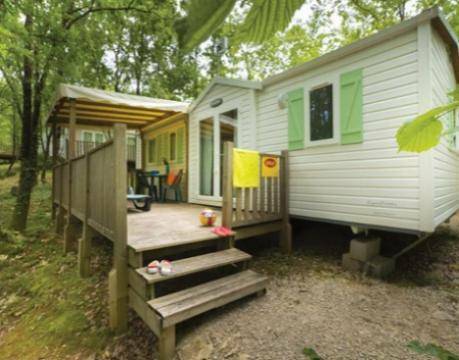 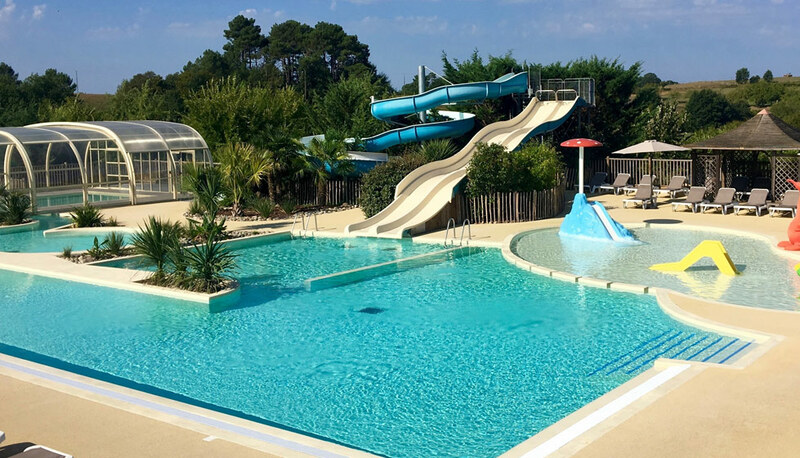 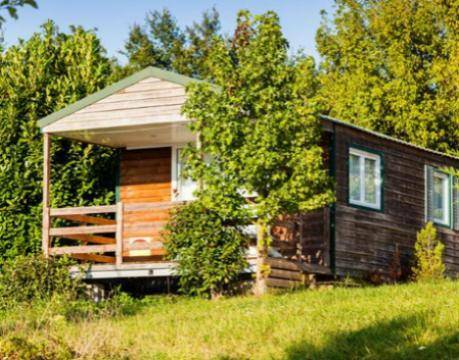 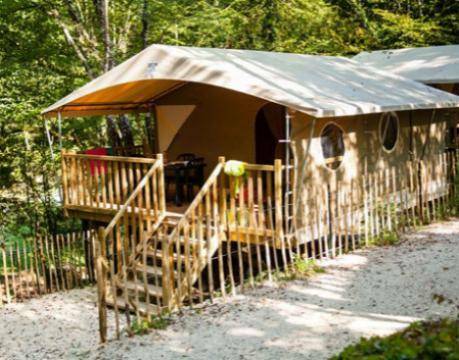 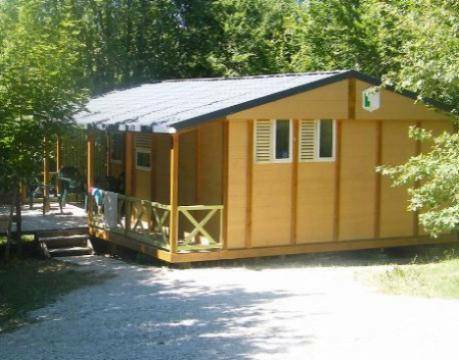 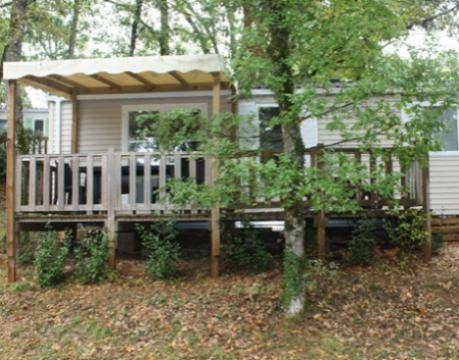 In this lovely, 24 m² chalet, you will find two cosy bedrooms, one with one double bed (140cm x 200cm) and the other with three single beds (70cm x 200cm), including one bunk, a bathroom with shower, washbasin and WC. 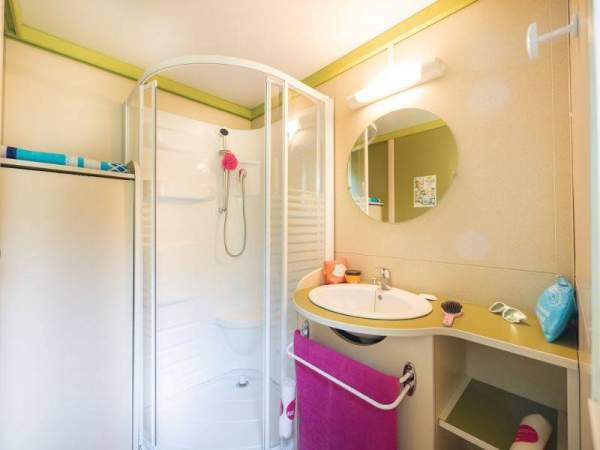 There is a well-equipped kitchenette with fridge, microwave and dining area for you, with garden furniture and two sunloungers waiting on the pretty, covered terrace. 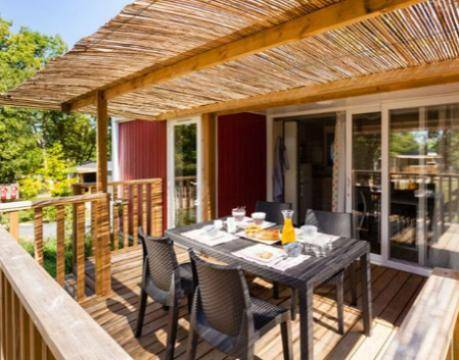 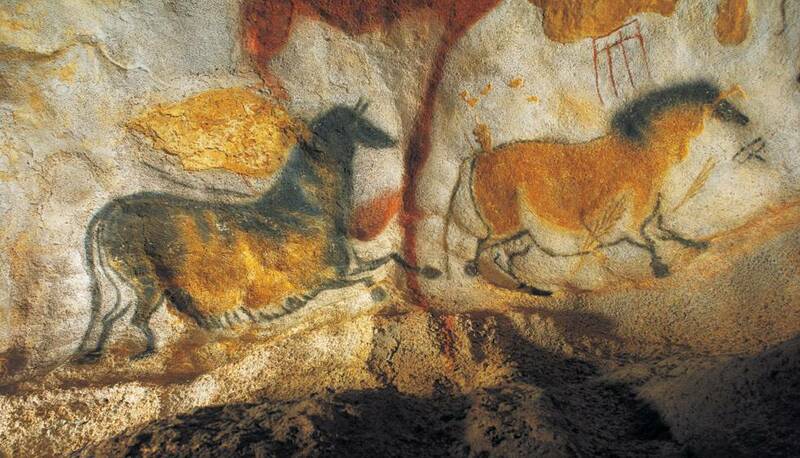 Take out a good book and a cool drink, and enjoy deep, refreshing breaths of Périgord air.